The UK Autodrive autonomous vehicle project is concluding with details of how pods for first-last mile solutions have been introduced into the English city of Milton Keynes. The project says the pods have provided a “crucial link” to the autonomous and connected vehicles in its “grand finale”, enabling the world’s first demonstration of multi-CAV vehicles completing an end-to-end journey in the UK. 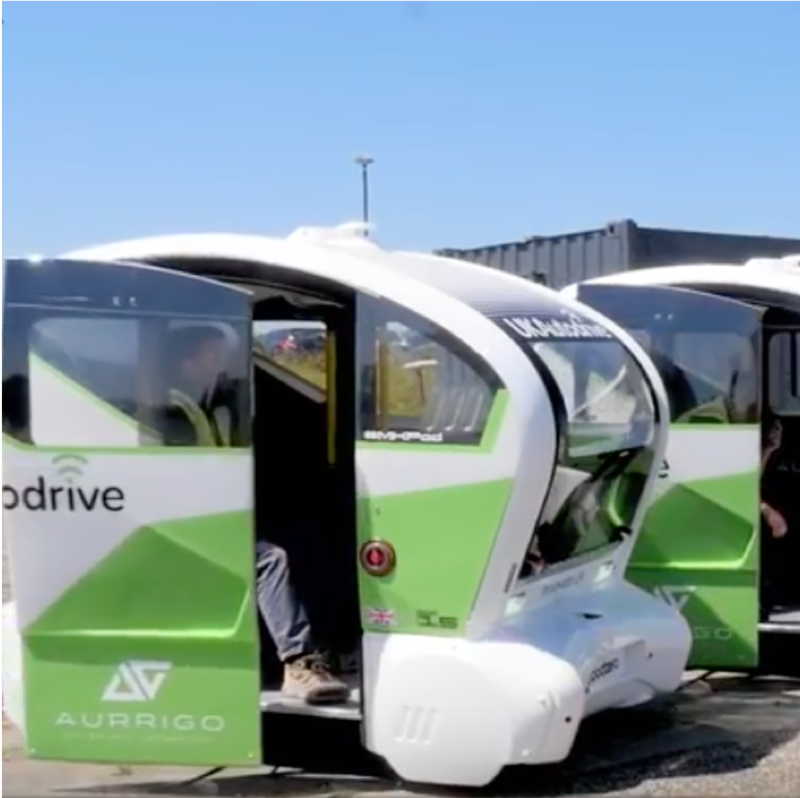 As part of the UK Autodrive project, Milton Keynes Council has been working with pod maker Aurrigo to test out a new first/last mile transport solution for local people, shoppers and visitors to Milton Keynes. Watch the video here. Up to 15 pods – capable of travelling up to 15 miles per hour and lasting up to 60 miles off one charge – have been operating in the city centre from Central Railway Station. There are plans for the pods to continue to operate in the city, with a service being offered to residents in the near future.